Patience-the ability to put our desires on hold for a time-is a precious and rare virtue. We want what we want, and we want it now. 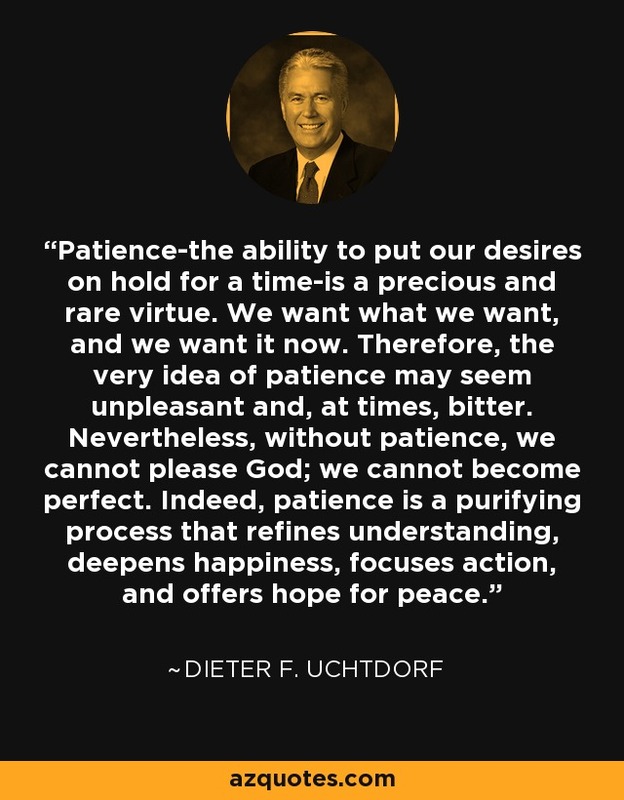 Therefore, the very idea of patience may seem unpleasant and, at times, bitter. Nevertheless, without patience, we cannot please God; we cannot become perfect. Indeed, patience is a purifying process that refines understanding, deepens happiness, focuses action, and offers hope for peace.